The Power of Minnesota film is about people, their communities, and their stories about clean energy development around the state. Following the screenings, participants shared conversations with their neighbors about what they learned and what surprised them about the film. For example: people we shocked to learn that there are nearly 60,000 clean energy jobs in Minnesota! They shared their clean energy questions: for example, how do we get more youth engaged in the clean energy industry and careers? Minnesota West of course, had some great answers about how they are partnering with industry, recruiting K-12 students to their training programs, and then equipping students with the expertise they need to pursue good paying jobs. Jim Nichols, local farmer and clean energy elder statesman, closed out the event by praising the work done by so many across Southwest Minnesota to ignite the clean energy industry in Minnesota and keep it growing strong. There are many more clean energy stories in the making across Southwest and West Central Minnesota. Thanks to everyone who joined us and made this night a terrific celebration! 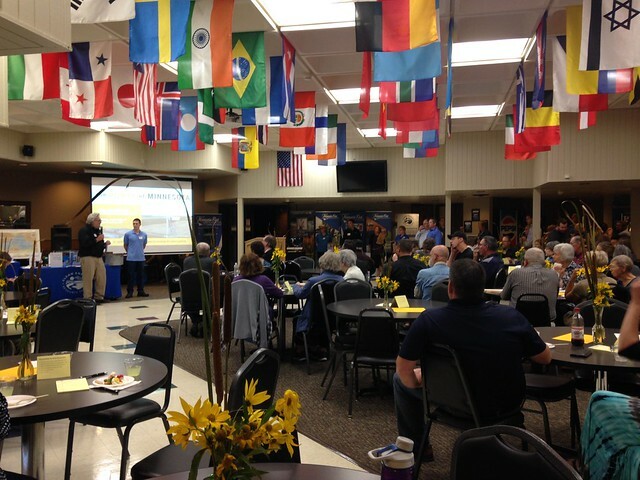 The event in Canby was hosted by Clean Energy Resource Teams (CERTs), Pioneer Public Television, Minnesota West Community and Technical College, Minnesota Energy Center of Excellence, Southwest Regional Development Commission, and the Upper Minnesota River Valley Regional Development Commission.